Many scholars lament that reforms first introduced in the late 1970s led to the demise of the Westminster administrative tradition. A recent body of research, however, has begun to question the death of the Westminster administrative tradition. This article contributes to this debate by focusing on an important tenet of this tradition: the permanency of civil servants. 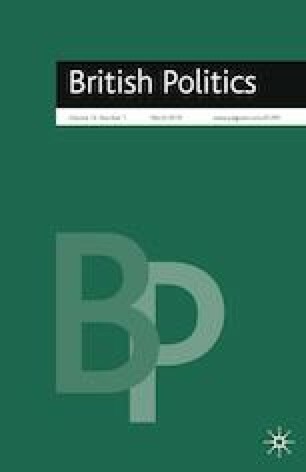 Using original longitudinal data of administrative heads in the UK between 1949 and 2014, this article investigates whether the relationship between several political events within the executive government and turnover of permanent secretaries has strengthened since 1979. The empirical results from cross-tabulation analysis and logistic regression suggest that over the last 60 years the relationship between political events in the executive and administrative turnover has largely remained unchanged. Since 1979, a change in the governing party, a change in the prime minister, and the re-election of a prime minister, do not lead to a greater increase in permanent secretary turnover. With the permanency of elite bureaucrats still intact, the evidence supports research suggesting that reforms since 1979 better reflect a pattern of institutional layering on top of the Westminster administrative tradition, rather than constituting its demise. I was trained in the Treasury for good or ill by a man who still ferociously pursues the public good … He showed me how to negotiate, how to draw breath in mid-sentence so as to discourage interruption, how to draft, and why the Service belongs neither to politicians nor to officials but to the Crown and to the nation. —Ian Bancroft (cited in Hennessy 1989, p. 346).